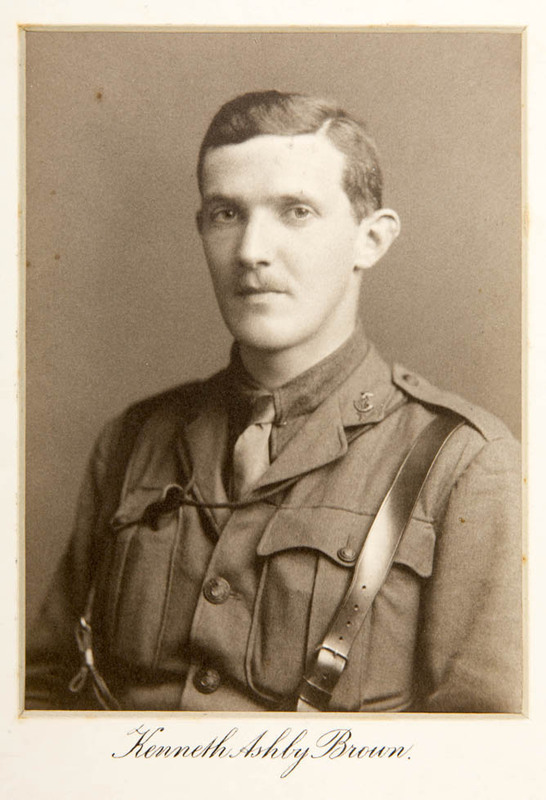 Brown joined the 1st Lanarkshire Volunteer Rifle Corps as a Second Lieutenant in April 1907. The following year he transferred to the 5th Battalion Scottish Rifles (TF) on the formation of the new Territorial Force although he was one of several supernumerary officers on the establishment of the new battalion. In October 1914 Brown, by now a supernumerary Lieutenant, was finally absorbed into the establishment and his promotion to temporary Captain followed in January 1915. 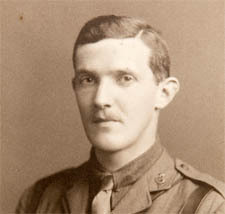 From 1909 until the outbreak of war Brown was connected with the Officers’ Training Corps at the University of Glasgow. As a result, although still only holding the army rank of Second Lieutenant, he was granted the local rank of Captain in 1910. At the outbreak of war in 1914 the 5th Cameronians reached France in November. 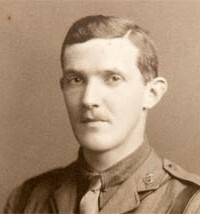 Brown did not join them until July 1915 as he seems to have suffered a period of ill health. Sometime in 1916 he seems to have been sent home sick with trench fever and did not return to his unit until January 1917. By now the 5th and 6th Battalions of the regiment were so under strength that they had been merged into a composite 5/6th Battalion serving with the 19th Brigade of the 33rd division. 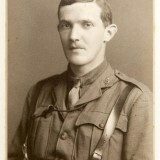 He was Mentioned in Dispatches in the 1918 New Year’s Honours list in connection with the action in the Arras Offensive in which he lost his life. 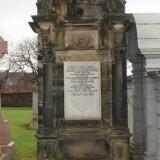 On 14th April Brown commanded one of the two leading companies of 5th Cameronians in that day’s attack. ‘D’ Company came under heavy artillery and machine gun fire and Brown was killed. Brown’s parents chose the phrase ‘Post Tenebras Lux’ for his headstone. 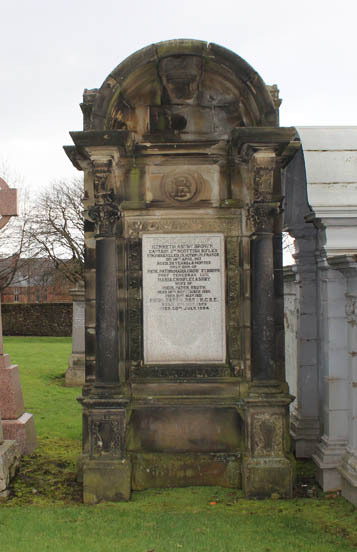 Son of Nicol Paton Brown and Maria Crowley Ashby Brown, of 22 Belhaven Terrace, Glasgow. Much of the information on which this profile is based is drawn from various internet sources which are listed below. 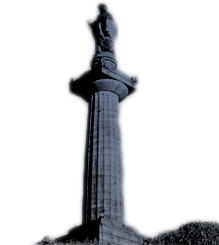 The Friends of Glasgow Necropolis also wish to make full acknowledgement and thanks for the permitted use of any information or images generously supplied specifically for exhibition, publication or display in connection with The Roll of Honour and accompanying profiles to The Cameronians (Scottish Rifles) Museum, Hamilton, Marleborough College, University of Glasgow, Ancestry, and Find my past.